Americana’s 5” arched aluminum truss rafters with 16” on center are lighter in weight and the arched configuration allows water to run off the roof. We wrap our air conditioning ducts with an aluminum closed cell foam insulation to maximize insulation along with our R14 fiberglass insulation over the 1/8” Luan barrier liner and an additional layer of Poly-air bubble foam insulation. We top of the roof with the Industry’s best EPDM one-piece rubber membrane that is stretched over the entire roof and the transition to the walls for the most complete coverage possible. 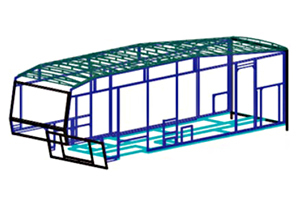 We use a strong 1 ½” x 1 ½” .060” thick double welded tubular aluminum frame to create our strong interior structure. High density polystyrene block foam is custom cut and laid into the frame to provide a tight seal. 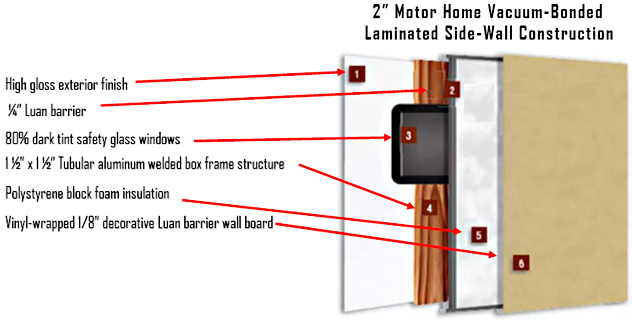 The studs are stuffed with wood at all locations that require extra mounting support for cabinets and interior walls to increase the strength of the studs. 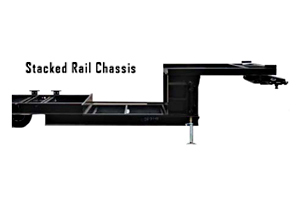 We use the same strong 1 ½” x 1 ½” .060” thick double welded tubular aluminum frame in our floor structure. Our floor ducts that run through the floor are reinforced with aluminum blocks to prevent soft spots in the floor. High density polystyrene block foam is cut and laid into the frame just as in the sidewall, providing a tight seal. Our 5/8” one-piece structured wood floor is formaldehyde-free, and by being one-piece, there are no seams to show through vinyl flooring or carpeting. 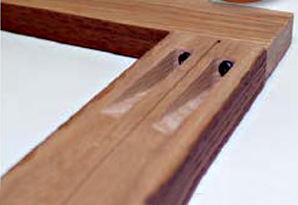 The structured wood floor has a lifetime warranty from the manufacturer Dynaspan. On the interior, residential linoleum is laid the entire full width of the coach. It adds to the structure and insulation of the floor. 1/2” thick rebond carpet padding topped with residential carpeting adds to the finish of the Americana floor. The Americana RT comes standard with an enclosed and heated underbelly. Heat ducts run from the floor into the underbelly directly above the tanks to provide warm air and aid in preventing the tanks from freezing in cold weather. 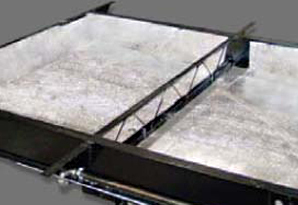 In addition to the air ducting, our laminated underbelly combines a Poly-flex 2000 vapor barrier with ¼” luan barrier topped with the “Reflectex” aluminum bubble wrap insulation installed on the underside of the 10” I-beam chassis creating an enclosed surface increasing the aerodynamics and preventing air from being trapped under your coach. Additional optional warming pads are available for those in extreme cold climates. 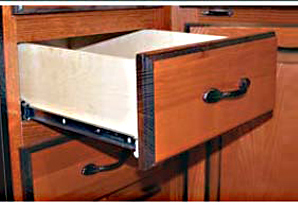 Americana ball bearing heavy duty drawer glides are mounted to solid wood drawer sides to provide a durable easy to open drawer that can withstand heavy loads and includes a drawer stop to prevent the drawer from opening during travel. This chassis design used a double I-beam frame rail to increase the amount of storage space under the bath/bedroom floor. Heated, insulated and enclosed tank valves and underbelly are standard on the RT Americana.